Zhuhai, China — Members of the theme park and attractions industry will gather Jan 30-31, 2015 at Chimelong Ocean Kingdom for a special, behind-the-scenes tour. This new destination theme park was recently named for a Thea Award by the Themed Entertainment Association (TEA) which has organized the upcoming tour via the TEA Asia Pacific Division. Click here for details of the event at Chimelong Ocean Kingdom, Jan 30-31, and registration information. 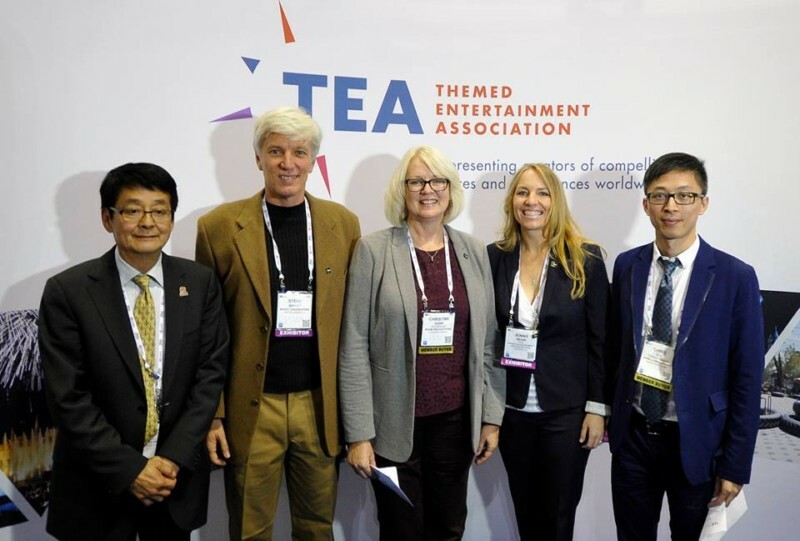 As a Thea Award recipient, Chimelong Ocean Kingdom will send representatives to Los Angeles to present a project case study at the annual TEA Summit (March 19-20) and to formally accept the Thea Award at the annual Thea Awards Gala (March 21). Click here for more information about the TEA Summit & Thea Awards Gala. Mainland China’s explosion of cultural attractions, theme parks and resorts has a radiant new standard-bearer. Chimelong Ocean Kingdom is a world-class marine life theme park located on Hengqin Island, a verdant paradise just a short bridge away from the buzzing casinos of Macau. Chimelong Ocean Kingdom raises the bar for other Chinese park developers and demonstrates how much can be achieved with a combination of Western design and Chinese execution. Guests enter the park’s Ocean Main Street under a huge, arching LED video display simulating an underwater environment. 24 attractions (including 14 animal habitats and shows) give the park an impressive array of opening day activities. 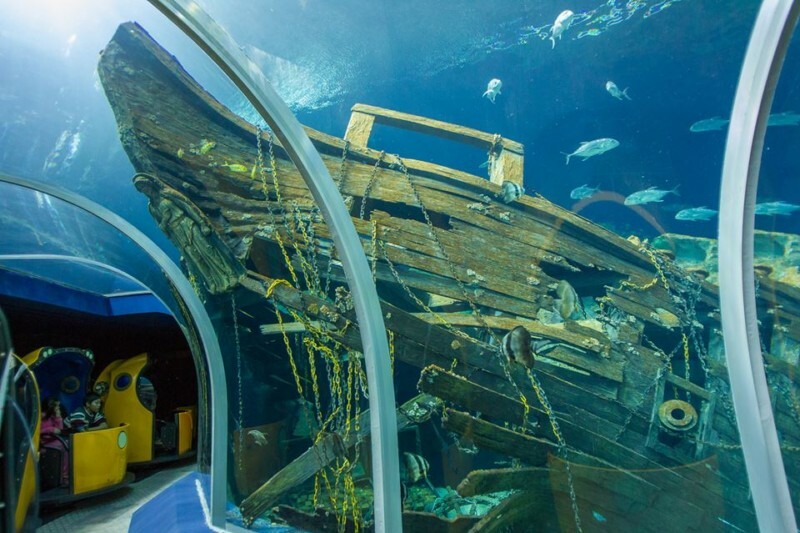 The Ocean Wonders aquarium boasts a number of new superlatives: the world’s biggest aquarium, largest collection of fish, and biggest single viewing window make for a stunning undersea experience. New expansion attractions are already in the works. 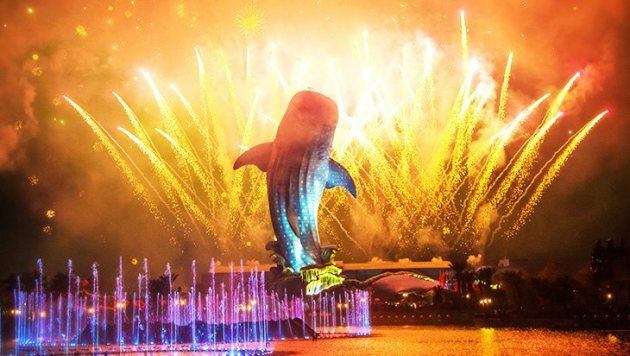 The beautiful Hengqin Sea lagoon at the park’s heart serves as the stage for a dazzling nighttime spectacular. Since entering the theme park business in 1997, Chimelong Group has increased the scale and polish of its offerings at a dramatic pace. Chimelong Ocean Kingdom is the fifth theme park to open under the Chimelong group, and their first outside their Guangzhou home base. Each park has been significantly more polished than the one before. A number of TEA member companies contributed to this latest effort, giving the resort world-class scale and refinement. Chimelong Ocean Kingdom stands as the biggest, grandest and best new park in China and deserving of the Thea Award because of its scale, ambition and opening day quality, along with its formidable plans for future growth.